My work is based on personal emotional struggles often emphasizing the capacity to heal and transcend through art. Working primarily in translucent porcelain I work in a primitive but refined style to create soft and flowing abstract figural forms contrasted with sharp lines and separations. 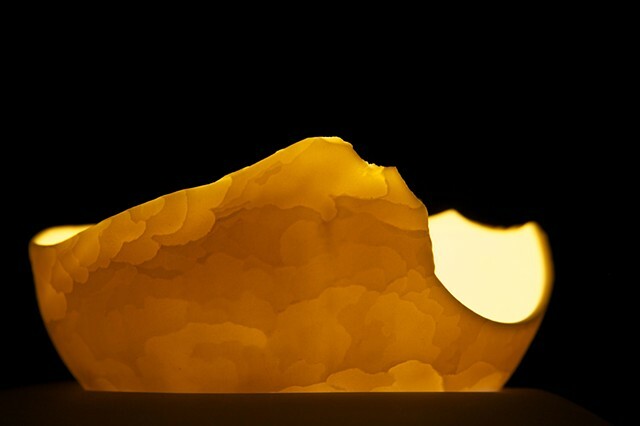 My work is concerned with the interaction of light with the ceramic forms and its ability to highlight or create a sense of emotion in the form(s). I am closely connected to the ceramic process and my work speaks of its relation to changes in emotional states or evolution. I use a variety of techniques, including hand building and slip casting. The steps involved in each are important aspects of the work I make and are related to my notions of progression through the creative process. The illuminated porcelain forms are kept unglazed, in an effort to show the rawness and beauty of emotions, and the natural power of art to heal.